I am still working on card inventory for HorseSpirit Arts Gallery . Fall is not the typical time you see graduation cards in stores, is it? BUT…2/3 of my offspring graduated in the month of December (1/3 in May). And, gosh, there are so many ongoing certificate programs, technical programs, medical treatment programs, et cetera, you many need a graduation card any month of the year! Supplies: Stamp – Stampin’ Up!, paper – Neenah Classic Crest Solar White, Stampin’ Up! Basic Black, Stardream Metallics Silver, ink – VersaFine Onyx Black, die – Spellbinders, embossing folder – Provo Craft, embossing powder – Stampendous Detail clear. 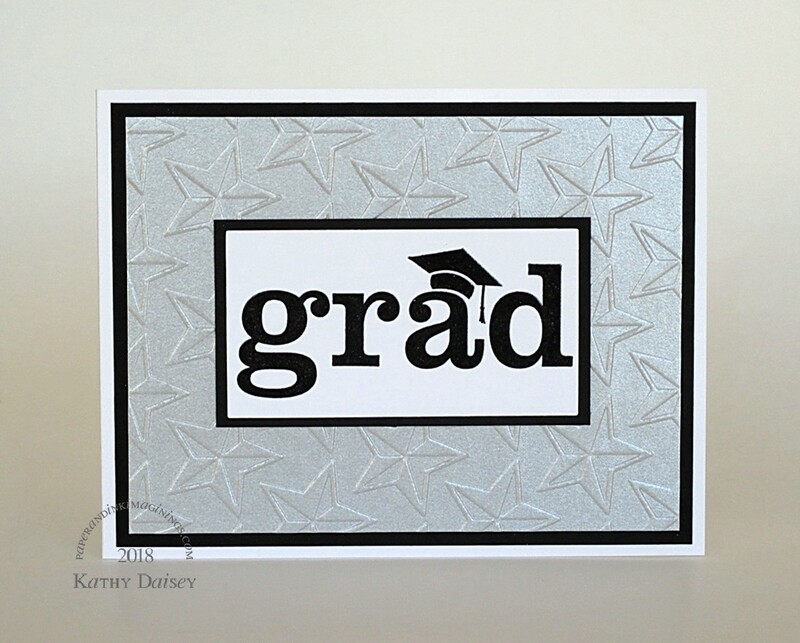 Categories: card, graduation | Tags: card, Neenah, Provo Craft, Spellbinders, Stampendous, Stampin' Up!, Tsukineko, VersaFine | Permalink.